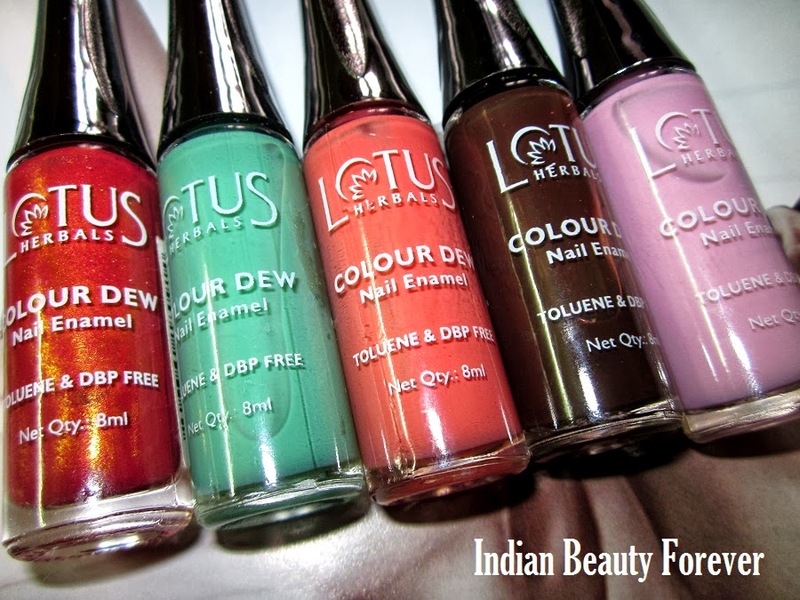 You may be aware every time, I review a lotus colour dew nail paint, it contains a lot of raving about them reason being their creamy glossy formula which comes at an affordable price of 110 rupees. I have 6 of these and I will be showing you all of them in this post!! Actually the 6th one plum delight is missing from the group photograph as I no longer have it with me!! Cherry crush- It’s a colour which reminds me of bridal attire with beautiful rust kind of shade infused with micro golden shimmers. 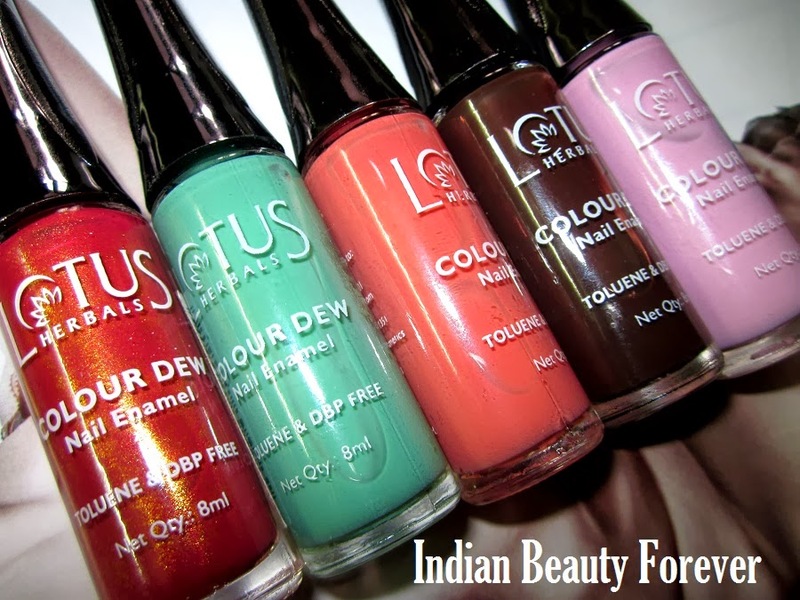 It can be great colors to pair up with your Indian outfits especially when the outfit has gold detailing. 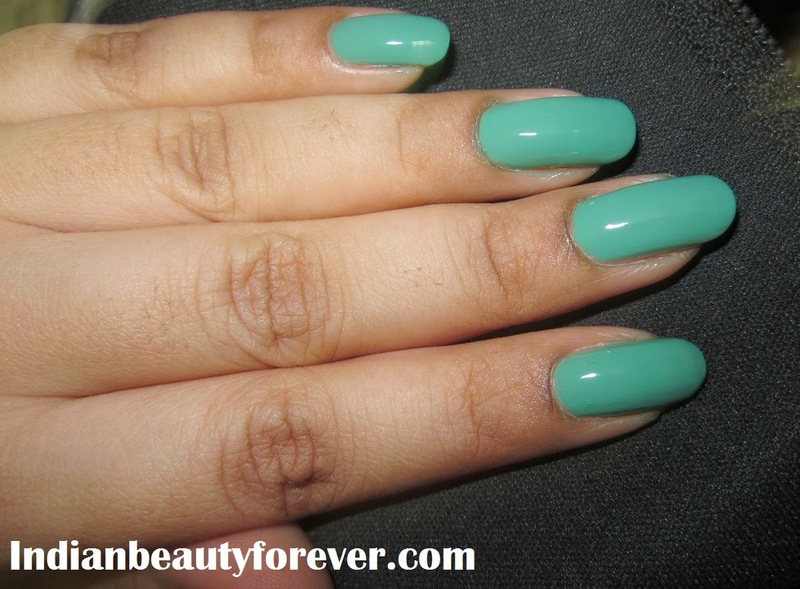 Go grapes- This is a refreshing mint shade which shouts summers. I have it on my nails yesterday and m in love with this once again. 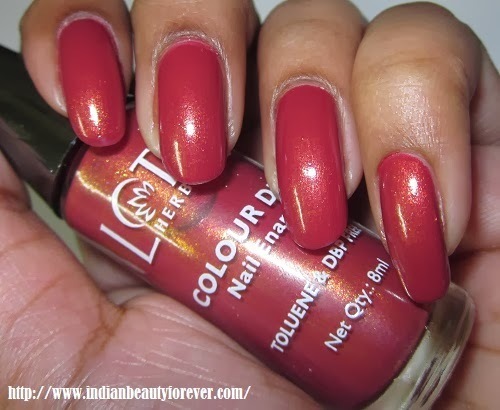 Plum Delight- Plum delight is a rich zamun like rich and glossy deep purple color. I like its texture which is velvety and creamy. This is a perfect fall/autumn color. Lavender Love- Lavender Love as the name says is a lavender color which again can be a great shade to sport in summers. Choco fudge- This is such a dark chocolate brown color with a texture resembling like that of the Plum delight, Rich, luxurious and velvety!! 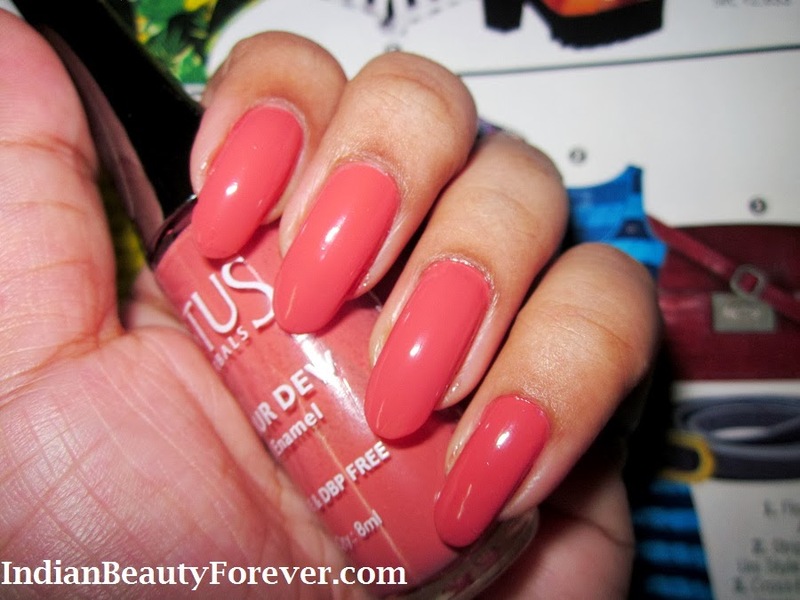 Peach Parfait- I have not reviewed it but its a gorgeous peachy shade which remonds me of Faces canada ballerina. That was it everyone!! Enjoy your day! 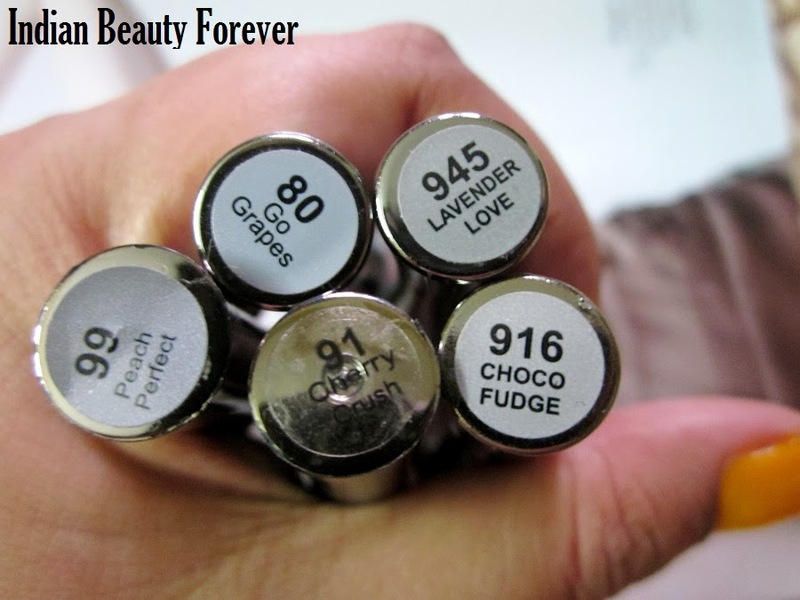 loved all the shades specially lavender love and plum delight its a perfect fall color! Absoultey!! I like plum delight, such a creamy shade. My fav is Go grape. I can imagine how much time you must have put into this post! Thank you Karishma!! I wasn't well so I did this swatch post! The nail paint pics are old dear! Cherry Crush is a super wonderful shade! Trying to grow my nails at the moment! Personally, I love the Peach Parfait. I feel like only pinks and reds suit our skin colour. Maybe it's our undertone? 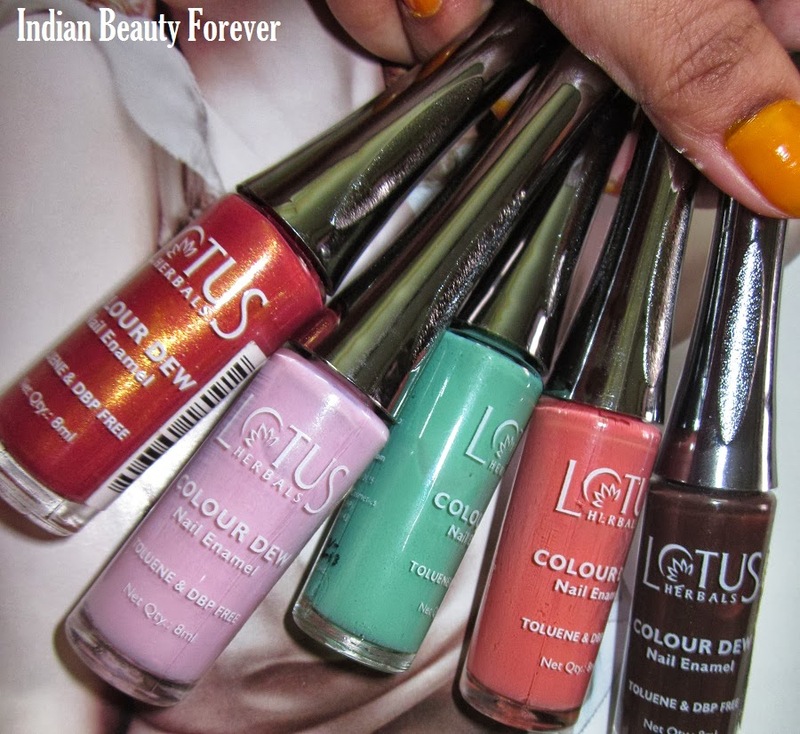 Loved the shades...especially peach parfait! I love the mint color. Been looking for a similar shade forever. Nice post! You would love this minty shade then!! thank you!! They are very refreshing and universal colors!! :D I love go grapes and peach! !